Surgeon's Hand In Blue Latex Glove Holding Scalpel Over Anatomical Figure Of Human Liver. Concept That Symbolizes Process Of Surgery Treatment Of Liver Diseases Such As Cancer, Hydatid Disease Ets. Royalty Free Stok Fotoğraf, Resimler, Görseller Ve Stok Fotoğrafçılık. Image 72379856. 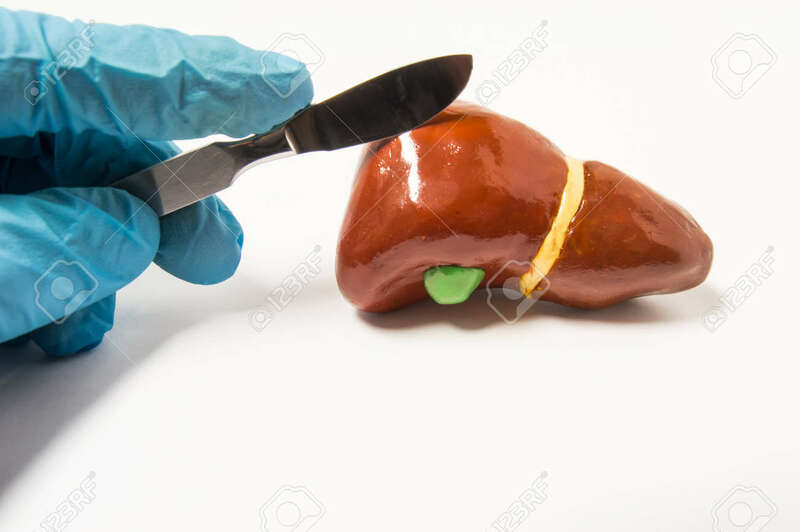 Stok Fotoğraf - Surgeon's hand in blue latex glove holding scalpel over anatomical figure of human liver. Concept that symbolizes process of surgery treatment of liver diseases such as cancer, hydatid disease ets. Surgeon's hand in blue latex glove holding scalpel over anatomical figure of human liver. Concept that symbolizes process of surgery treatment of liver diseases such as cancer, hydatid disease ets.